EScanlon had the most liked content! I wrote this in response to another Z owner having problems with his windows. His initial question had been about the need for the pressure roller situated on the top part of the door and it's effect on the window operation. I also wrote down the steps to adjust a door window to operate smoothly. The window roller is required to push the glass inward as it reaches the top of it's travel. The inside door panel and the fuzzy strip attached to it, push the window outwards. Between these two and the window frame and front sash the whole thing is maintained in the center of the window frame. The fuzzy gasket in the top part of your window frame should be FUZZY, no grease, no bare rubber spots. Grease here will just get all over your shirt sleeve. Bare rubber will just prevent the window from rolling up and down smoothly. The inner fuzzy strip mounted to the panel is what presses against the window to push it out, if it's missing or caked solid with dirt / grease / gunk it will just impede the sliding of the pane. 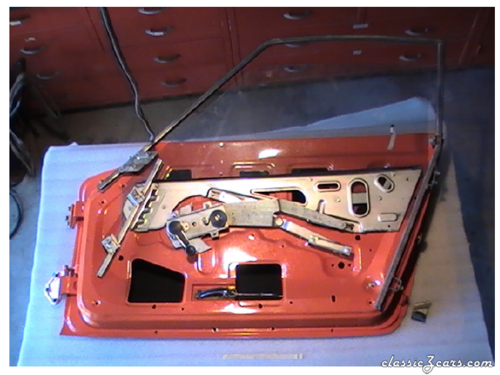 The outer gasket on the chrome trim is to seal the window from rain once the window is closed, it is the roller which locates the window in the center of the frame. That you have to loosen the front sash and the rear guide channel (there is no rear sash) tells me that you don't have these adjusted right, or that your frame is bent or that it's misaligned. The adjustment for the window is straight forward. You DO have to have the glass bumper roller installed or it will be a b*tch. 1. Loosen the installation nuts for the front sash and rear guide channel. 2. 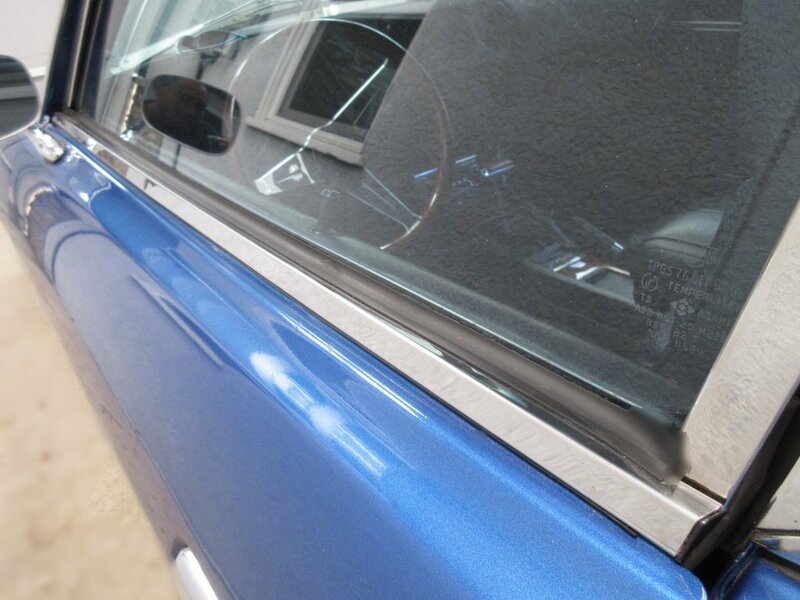 Roll the window up and down and check the alignment of the rear edge of the glass with the door frame. 3. If the glass angles too far to the rear, move the rear guide channel upward. If it angles too far to the front, move it downward. As a general rule, the rear guide channel bolts will both be at the same location within their respective slotted holes to each other, i.e. front bolt won't be higher or lower than the rear bolt in relation to the bolt hole in the metal door frame. 4. When the glass is parallel with the window frame, adjust the front sash so it is parallel with the front edge of the window. You can just look down from above and ensure that the nylon guide mounted on the bottom channel of the window pane is going to go up and down the front sash smoothly. If your regulator is not allowing you to crank up the window after this, check to make sure that the spring on the regulator isn't broken. Without this spring it is literally impossible to raise the window. The sheer weight of the pane is too much for the angle / gearing in the regulator. 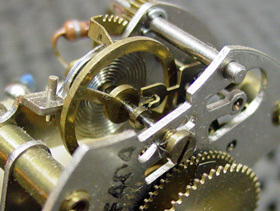 The gear within the mechanism will just work its way out of the teeth on the arm. The spring is what helps you counter the weight of the window pane against gravity. I wrote this some time back about how to adjust a hood. Has the hood always been hard to open, or did it just recently become hard to open? 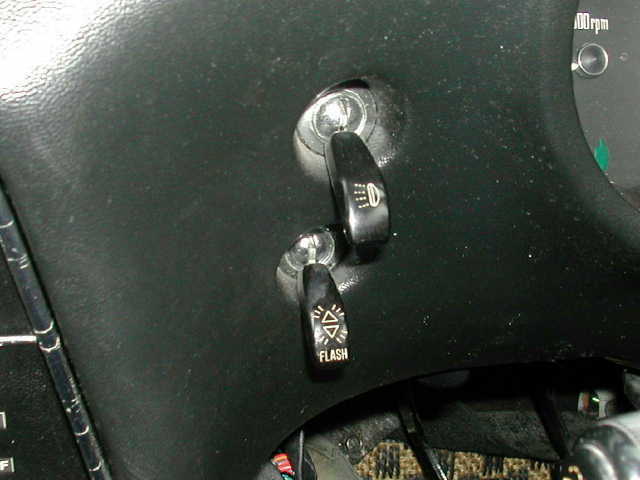 If it's always been hard, it is possible that at some point before you owned the car someone adjusted the pin or the hinges such that it's pressing against the fender lips and hence requiring the "slam". If it just recently became difficult, did you recently do some adjustments to the hinges, the latch pin or accidentally hit something with the car? If so go back and double check what you did, the hood shouldn't need re-adjustment for most procedures you do to the car. If you smacked someone, then it's possible you've tweaked the hinges / hood and need to re-adjust. Checking the manuals for how to align / adjust the hood, they give very generalized directions but don't address what you have. I'll tell you how I did mine. First do a visual, is the hood generally aligned to the opening? Is each side of the hood even all the way front to rear? Is the cowl edge of the hood even and about the same dimension as the side edges? Now look from the side, is the hood at the same level as the fender edges? does it seem to be higher in the front than the rear or the other way around? The correct placement is where the hood is separated from the fenders and the cowl with even spacing along all those edges. Additionally, the front of the hood and the rear of the hood should align to the side fenders on both sides of the car and not be above or below the fenders at either of these locations. If the above is all correct, you need to adjust the Male Latch Pin. That's the one in the center of the hood and has a spring behind it. 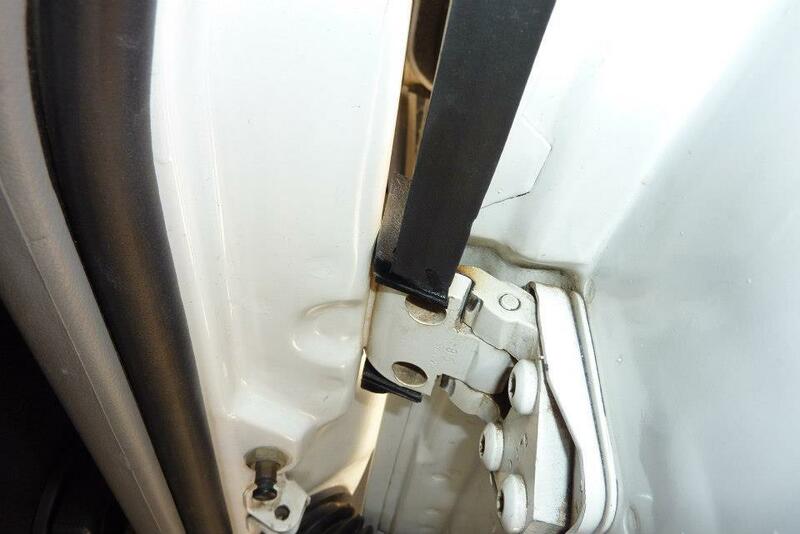 If however you have a discrepancy on any of the above items, then you need to adjust the hinges, or the location of the hinges on the hood or fender. 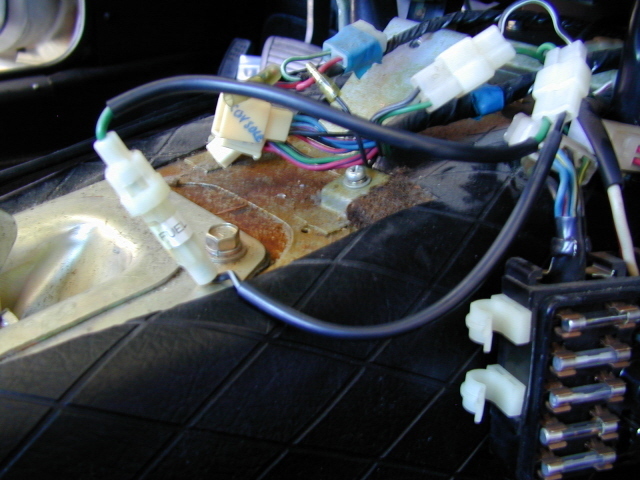 To do that do the following: Remove the Latch Pin and Spring Assy at the center of the Hood. Mark along the edges of the hinges to the fenders and on the hood with a dark pencil so you can see where they WERE. A visual inspection of the hood right now will also help, since the latch pin isn't pulling the hood out of it's "natural" fall. If your hood is being stressed shut, you'll notice it here because the cowl edge of the hood won't be down at fender level. This is a good indication that the hinges have been mounted too low on the fender walls and should be adjusted slightly upwards. If your hood had uneven edges on the SIDES, then you need to loosen the hinge to hood bolts and adjust the hood to the proper location and then retighten. Usually an uneven cowl edge line will also show up with uneven side gap, although a very subtle gap on the side will be more noticeable at the cowl. If your hood is fine side to side, but is too close / far from the cowl, then loosen the bolts to the hood from the hinges, and carefully pull / push the hood till the gap is satisfactory. 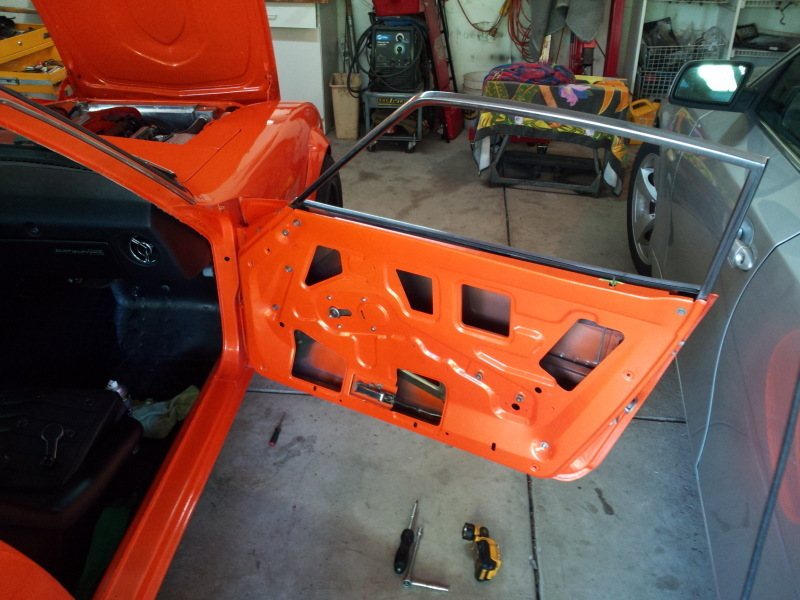 If the hood is higher in front than in back or vice-versa, then you need to adjust the hinges to fender. To loosen these it's easiest to close the hood, and access the bolts from underneath the hood and behind the grill. You may have to loosen one or two of the bolts with the hood open, but you'll be setting the hood into position and tightening the bolts from behind the grill. 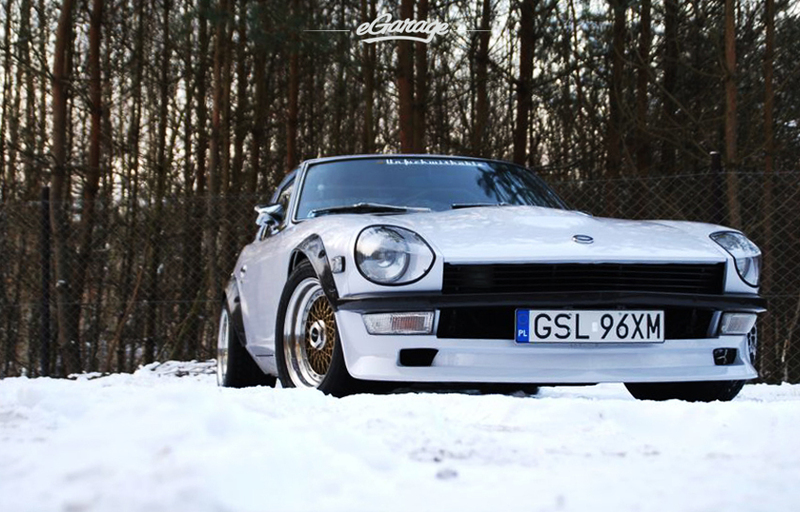 Move the hood / hinges up or down as necessary to get the hood to line up front to rear evenly with the fenders. Once you've tightened the hinge bolts, then replace the latch pin, and tighten it enough that it doesn't float around, but loose enough that a good shove will move it into position. Close the hood, and very carefully pull the cable release, and open the safety latch. This should move / force, the pin into the actual position required for the latch assy. Now tighten the pin. Close the hood again, and verify that the Male Latch pin isn't pulling the hood too far down, or leaving it up above the cowl edge. At this time also check your Hood Height adjust screws on each edge of the cowl, they shouldn't be exerting pressure on the hood, other than that required to make sure it isn't fluttering on the edges and that the edge is even with the cowl. That's it, hope it helps. This is a real basic primer on how to bump out dents and shrink metal. Ok, if you're handy enough with an oxy-acetylene torch, then you'll be ok with this next procedure. If you're concerned with the "panel beaters", and I take that to mean the specialty hammers, dollys and other body specific tools, you can still do quite a bit with your regular tools. You can use your regular ball peen hammer or regular claw hammer as long as you're careful of the claw. See if you can address the metal from behind. Typically this will involve removing the lights, wiring and other trim pieces that will be in the way. Once done with that, take a good look at the metal. Remember, metal will stretch when dented, when you are pounding on the dent from the back side (inside of the car) you will also have to do a fair amount of pounding from the outside to restore the metal to the level required. If the metal has been stretched a bit, you have an acetylene torch, and you can do a fair amount of shrinking with the large heating tip, we called it a rose bloom but it's basically the one with many holes at the tip, used to heat large pieces of metal. The trick is to heat the stretched area till it's somewhat glowing, not orange but kind of reddish, then with a rag thoroughly soaked in water, you quench the metal. This causes the metal to shrink rapidly and will strengthen it in the process by hardening the metal. You have to be careful of the amount of steam that will be generated, so wear gloves. 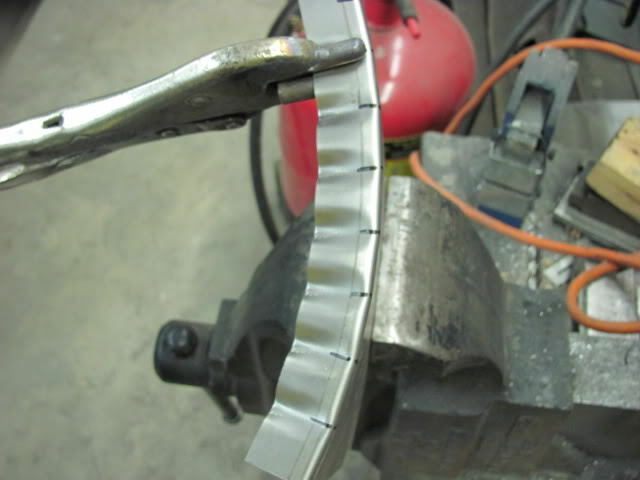 Don't over do this, cause you can over harden the metal and then it can become brittle. Remember, you're just trying to reverse the stretching caused by the impact. Without a shrinking hammer, this is the next best method. By the way a shrinking hammer should only be 10-20 dollars, it has what looks like a meat tenderizer face to it, you use it like a regular hammer, but you have a metal dolly behind it. By the way, if you have spare pieces of solid metal lying around, look at them, you may have the basics for a metal dolly, i.e. a piece of metal to both anvil against and also to act as a counter hammer to your striking hammer. The basic technique to pounding out the dents with a hammer is to use your dolly on the low side back side. That is, from the side that you are working on, find the deepest part of the dent, then from the other side (the side opposite you) put your dolly there and press outward or towards you. Then find the ripple in the metal out from that dent. This is the "rebound" dent. When metal gets hit, part of it sinks in, and the surrounding metal will bulge out. With your hammer now work around the dent, hitting the rebound part of the dent. If you work it properly, you'll slowly but surely see the rebound dent going down, and the deep dent coming out. You CAN use the dolly to smack against with the sheet metal between, but this is usually reserved for smaller dents where you can work faster that way. Just be careful with your fingers and don't get too crazy, you can thin out the metal that you're working on, and you'll end up with a washboard wobble, then you'll HAVE to shrink that metal. Once you've brought the majority of the dent out or all of it if you've been lucky enough all of it, then use your plastic body filler to finish the panel. If you should have a dent that is too deep to try to hammer out, you can use a slide hammer, or if you don't have one, get some sheet metal screws, drill a smallhole in the deepest part of the dent, and using pliers or some form of gripping the screw use it to pull the metal out, while again taping down on the rebound dent. I hope this helps, but I do caution you, I've summarized techniques that I'm sure others will say are too complex to be tried by the amateur as well as simplified some to basics that some may argue are too simplistic. Check your library, there should be some basic books on body working to help you. and an addendum: I'll add this to that, if you have access to an Eastwood catalog, they have an excellent tool that will help you do a quick job of shrinking metal. This is a hammer that has a rotating cam head with a spiral cut on it. As you hit, the cam rotates while grabbing the metal. I personally prefer the plain old shrinking hammer. This is one that looks like a meat tenderizer. This hammer in combination with a dolly is usually all you need to shrink most stretched out sheet metal. The prior post explains the basics, and it is tricky to explain WHERE on the panel to select where to shrink. The best I can do to explain that is as follows: Metal shrinking is present when you have a washboard effect on a panel. Washboarding is when you press on the panel, and you can feel and hear it go bonk and press in, when you release the panel it bonks again and pops out. The other obvious is when you have a panel and you can see the obvious BULGE of the metal above where you need it to be. To know where to shrink, try to find the one spot that is REALLY sensitive to push / pop. This is the sweet spot for THAT stretched out area. First use your shrinking hammer, and see what you can do to tighten up the metal with that. Put your dolly behind the metal, use your shrinking hammer, and smack the metal using the dolly to absorb the impact and accept the rebound. VERY IMPORTANT DO NOT LET THE DOLLY REBOUND ONTO THE METAL. This will tighten up that specific spot. Next, find the next sweet / soft spot. Usually as you tighten one area, you'll have another area become the sweet spot. Keep addressing the individual spots with the hammer / dolly combination. You will finally get to a point where no amount of beating will reduce the metal any more. At this point you switch to the acetylene torch. Heat the metal, again not red hot, just starting to glow, and wearing some thick gloves, and with a rag that's pretty well soaked and dripping with cool water, put your dolly behind the metal to support your pushing, push the wet rag onto the surface. The metal will cool very rapidly and shrink. Move to another spot and repeat. You'll do this pretty much all over the panel, and usually it's between the spots you treated earlier. Pretty soon the panel will feel tight and no washboarding will be felt or present. Check your panel for straightness and level to the surrounding metal. Use your dolly and regular hammer now to remove any last dents, etc, and you should be ready for your skin coat of bondo or lead. If you don't want to use lead or bondo, then you just need to continue to straighten and shrink the metal until the panel is to the shape desired. Most body men will just avoid this, since it is incredibly time intensive and expensive. It is best to get it so that you end up with the THINNEST possible coat of filler. But that's another posting. I wrote this some time back to help a member whose window had fallen off the tracks. Remove the regulator assembly. That's the gear and scissor mechanism that the window crank operates. This will allow you to operate the window pane within the opening without the regulator getting in the way. Once it's out of the way, slide the window glass up and down inside the frame and tracks. You should be able to determine if the window will go up and down smoothly and effortlessly (of course barring the weight of the pane and gravity). If it passes this test, then you know that the window frame and sashes are set up properly. You can now direct your attention to the regulator. If on the other hand you find that it sticks either on the way down or on the way up, address the problem. Is the window roller (the little barrel shapped roller) pressing on the window pane properly? Is it guiding the pane into the upper part of the frame or not? How about the lower front sash? Is the front nylon guide on the window pane sliding through the sash smoothly? Is it bent? Will lubrication take care of it or do you need to remove it? I recently had the same problem with a passenger side window. I finally disassembled the whole assembly and discovered that my lower sash was just slightly bent and was causing the nylon guide to bind, causing me to exert a ton of pressure on the handle to get it to go up and down. After replacing the sash, the window goes up and down like new. Check the Window Frame, is it straight? There are some gentle curves to it, that's to allow the glass, which isn't flat itself, to slide up and down inside the frame. But other than the gentle curves is the frame itself straight, i.e. no twists, no sharp bends nothing that would stop the glass from going up and down? If all these check, then last couple items: Are the roller guides on the window pane frame straight and unbent or undamaged? These little guides are what the wheels on the scissor assembly of the window regulator ride in and exert the pressure to raise and lower the pane. If there are kinks, gunk, or other obstructions they will cause you problems. Check the roller wheels, are they able to rotate freely? If they are binding or sticking, clean them out and make sure they operate without wobbling on their axles. If they have a lot of play on the axle on which they are mounted, i.e wobble on the axle, they will probably jam as you exert pressure on the wheel through that axle. Next, check the regulator gear and spline arm. Any teeth missing? Is the gear portion of the spline arm straight and making proper contact on the gear that the crank handle actuates? Is there a spring on the scissor assembly? If so, it's there to help exert pressure upwards on the glass to help neutralize the effect of the weight of the pane on the assembly, if it's broken or missing, then raising the glass is going to be extremely difficult. You shouldn't have to apply grease to the upper portion of the window frame "fuzzy channels" This part of the window comes into contact with passengers, believe me your girlfriend will kill you if you get grease on her $90 blouse. She will probably do more than $90 in damage to you and / or your car. The only place for grease on the window assemblies is on the front sash, where the nylon guide slides through, the gear / spline contact area, the swivel point for the scissor, and the two roller guides that fit in to the window pane frame guides. Other than that, no grease, oil or other lubricant other than the "fuzziness" of the gasket. If the fuzzy gaskets in the upper part of the frame have lost their "fuzzy" stuff, then they'll act just like rubber stops on glass, which is basically what they are. Replace them. There is no other way of restoring those items. Ill be coming to Portland sometime in April for my new granddaughter's arrival. Hopefully I'll get some time to visit if you wouldn't mind. Still have the Z but I think it's time to sell. Just don't have the time anymore. We travel from Florida 6 months out of the year all over but mostly to the Northwest (Bremerton and Portland). Still I'd like to visit if OK? Just let me know. How to install chrome grill guard bar onto front bumper over riders? EScanlon replied to dltalfa's topic in Help Me ! !